10th Anniversary of the Canadian War Museum! The 6th of May marks the official 10th anniversary of the Canadian War Museum. Designed by Moriyama & Teshima Architects in joint venture with Griffiths Rankin Cook Architects of Ottawa, the Museum opened on the 60th anniversary of the end of the Second World War (V-E Day). This national museum presents Canada’s military past and how it shaped the country. 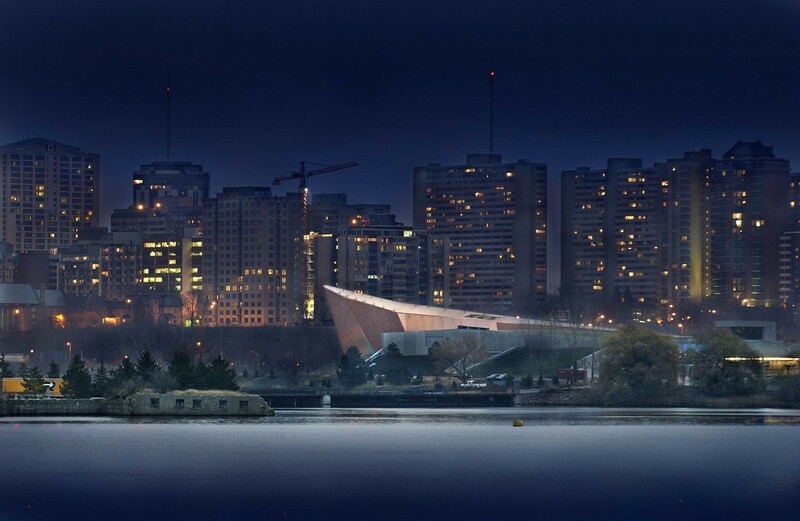 With its spectacular location beside the Ottawa River the award-winning design, innovative exhibitions and public programmes, the Canadian War Museum is a military history museum of international stature. In the decade that it has been open, the museum has welcomed approximately 500,000 visitors annually and has received numerous accolades including the Governor General’s Medal for Architecture and the OAA Design Excellence Award.